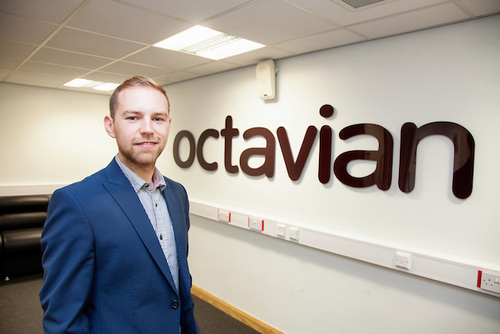 Nottingham IT solutions business Octavian IT is set to expand just under a year after it was established. The business, which is backed by serial entrepreneur Sukhi Ghuman and headed up by experienced managing director Ben Solomon and solutions director Jeremy Whitehead, is looking to take on four new members of staff in the next month, and has already grown turnover to six figures as it expands to service clients across the world. Solomon said: “It’s been a whirlwind first year for Octavian IT – and we’re not done yet! “We won our first six-figure contract in month eight and are now working with local universities to take on two marketing interns and an apprentice, as well as looking for a qualified engineer. “This is a really exciting opportunity to work with some of the fastest-growing businesses in Nottingham and the wider region and we’ve already hit the ground running. “We have a passion for and can see a need to provide excellent IT services that are customer service-centric and absolutely provide an organisation with a stable platform from which to thrive and do what they do best”. Octavian IT has already won 20 contracts in its first 10 months and is looking to land a multimillion deal within the next few weeks. The company has branched out from its Huntingdon Street offices and is now working with clients throughout the UK, USA, Canada and South Africa. Whitehead said: “We’re delighted with the way the first year is going, and we can’t wait to expand the workforce so that we’re able to expand even further. This initial round of job creation is just the beginning and we look forward to helping more businesses achieve their IT goals in the future”.